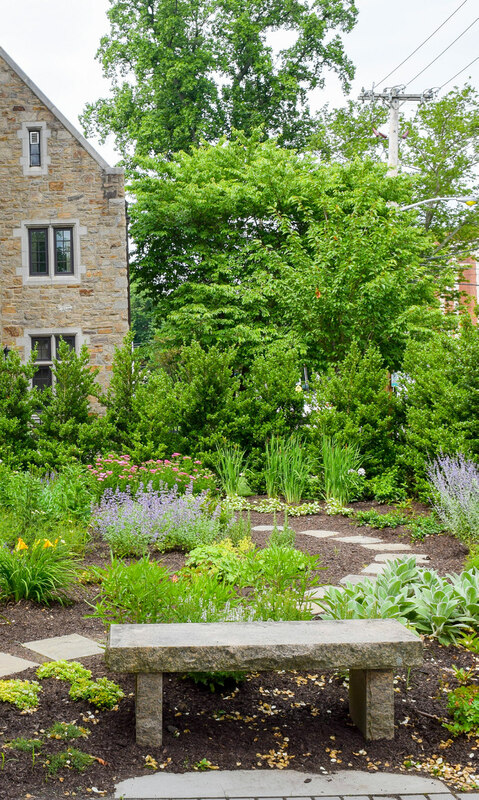 The Larchmont Avenue Church Memorial Garden is a private, dedicated space to provide church members a sacred final resting place while offering families and friends a tranquil venue for reflection and remembrance. The Garden honors those we have lost and creates a peaceful sanctuary for future generations. Created in 1983 along the Forest Park side of the church and lovingly renovated in 2018, the Garden is landscaped with beautiful trees, shrubs and flowers that surround the space with beauty and offers privacy to visitors.